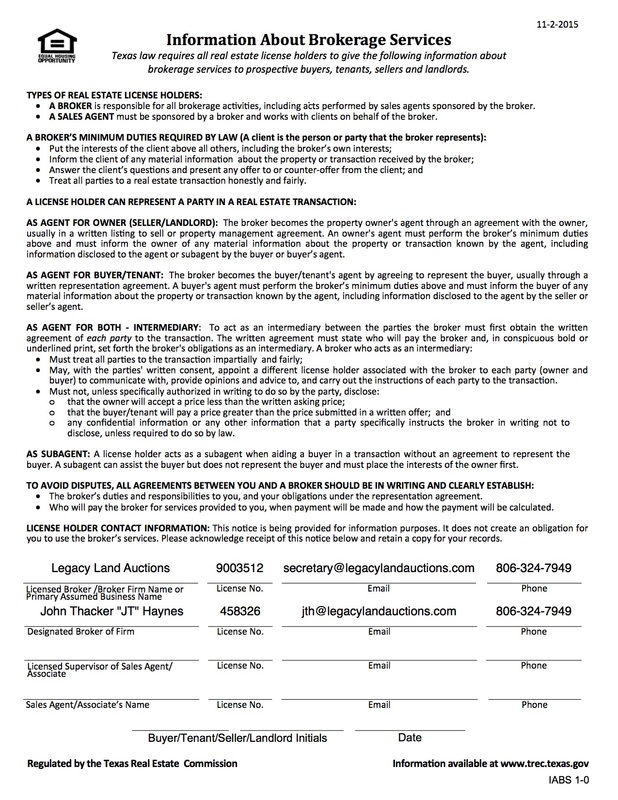 The Walter Lasley & Sons, Inc. property was offered for sale in a multi-parcel, absolute auction with no reserve on August 13, 2015. Comprised of more than 9,600 hundred acres of farm and ranch land and home to a 20,000 head-capacity feedyard, the property was divided into 12 individual tracts and auctioned to the highest bidder in the ballroom of the Amarillo Country Club in Amarillo, Texas. Minnesota who came to bid on individual tracts, tract combinations, and the entire property. A standing-room-only crowd was on hand as 16 bidders actively participated in the auction, having a high bid posted at any point in the auction, including one buyer who participated over the telephone. Partnering with other land brokers in an industry-leading, broker-friendly approach, Legacy registered nine individual brokers representing 17 qualified buyers, 11 of whom posted a high-bid during the course of the auction. on 11 different tract combinations, including the full 12-tract property. When the gavel dropped, one individual, a local landowner from Dalhart, Texas, was the successful bidder on all 12 tracts, purchasing the entire property for a final contract price of $8,228,000. The sale of this historic property was closed on Friday, September 18, 2015.